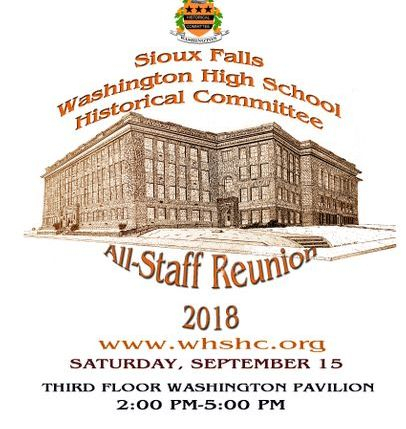 Announcing the upcoming 2018 All-Staff reunion for Washington High former staff members. It will be held Saturday, September 15, in the 3rd floor classrooms next to the restored classroom in Alumni Hall at the Washington Pavilion. Hours will be 2-5, with refreshments served. 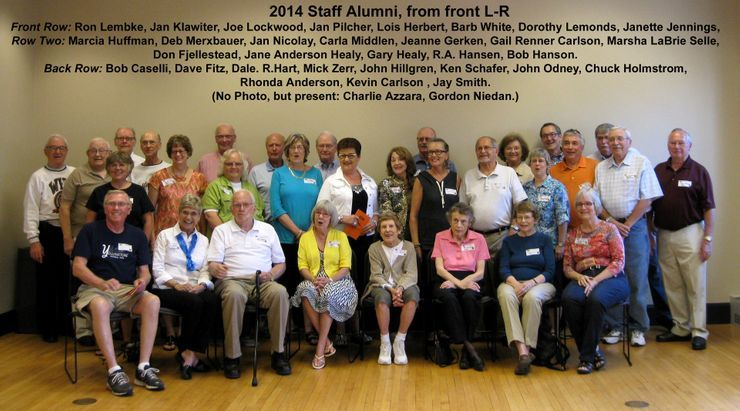 Unfortunately, since our last reunion, we have lost some of our folks, as we are all getting older. A group photo will be taken, with a copy sent to those who give us an e-mail address. (2015's photo below) As we do not have addresses for many folks, we ask you to get the word out to your staff friends, and encourage them to do likewise. Former students, if you are in contact with any former teachers, principals, etc. let them know of the event. Spouses of deceased staff are encouraged to attend. 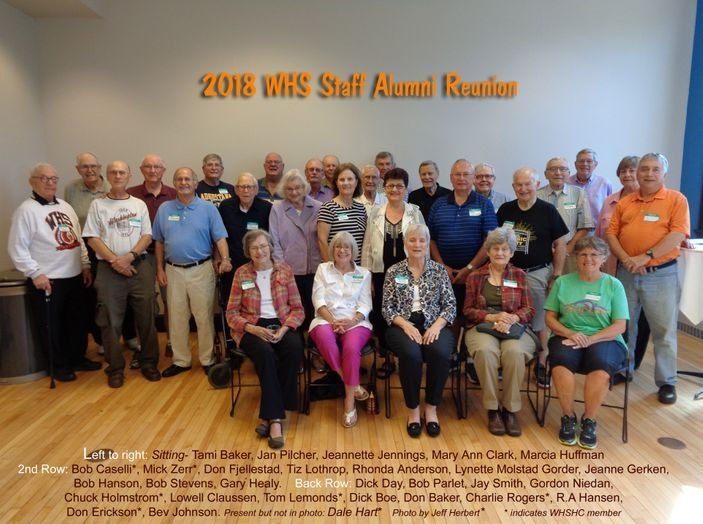 The 2018 All Staff Alumni Reunion at the Washington Pavilion September 15, was a success with many alumni attending and sharing memories. held at the Pavilion on September 19, with 50 former staff attending. 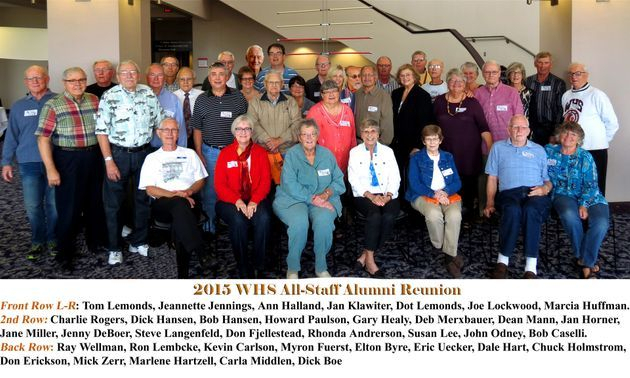 2014 WHS All Staff Reunion, held at the Pavilion September 20, had 48 former staff attending.